Living Area 2603 Sq. ft. Exquisite when built in 2004, this elegant single family residence is even more stunning now. The main living level features an open floor plan, stylish Arclinea kitchen, living/dining room with fireplace and double glass sliders overlooking beautifully landscaped grounds, home office, and beautiful 2011 entryway. The second floor offers a master suite with 12 ft. ceilings, grand reclaimed-wood doors, 4-piece bathroom, walk-in closet, and balcony, as well as a southwest-facing second bedroom with walls of glass and pastoral views. The lower level features a large family room with fireplace, built-ins, and double-sliders to the rear grounds, as well as a third bedroom, full bathroom, and laundry. High ceilings, Brazilian cherry floors, central air conditioning, direct entry garage. Enjoy outdoor entertaining with 2010 stone patio, built-in grill, stone walls, lush plantings, decorative lighting, & cedar fencing. 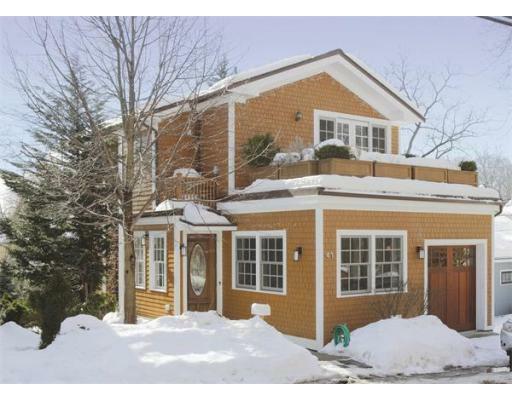 Centrally located near shops, restaurants, Jamaica Pond, & two T stations.